Here’s what we do know: Boston Bruins forward Marc Savard is out for the rest of the season. And that’s pretty much all we’ve got. By placing Savard on long-term injury reserve the Bruins have freed up about 4 million dollars in salary cap money (although even that gets tricky because if they use all the money they could incur a penalty for going over the cap due to potential performance bonuses). But let’s say, for the sake of argument, that the Bruins have $4 million to pursue a player to replace Savard. What do they do? It seems like everyone’s got an opinion, and almost none of them line up. I’ve heard: find explosive offense, get a goal scorer and get him quick, or go for a puck-moving defenseman; someone who clears it fast, but who can also help out in front of the goal. Speaking of the goal: Tim Thomas and Tuukka Rask, keep ‘em both or trade away? Is Patrice Bergeron “untouchable”, what about David Krejci, is Mark Stuart the guy to unload or will the B’s have to dangle someone like Milan Lucic to get a decent deal? General Manager Peter Chiarelli wants to “add without subtracting”, but in order to get a big player someone’s gotta go –it’s just a question of who. Perhaps even more important than who gets traded is who joins the black and gold for the remainder of the season. We need someone big, a playmaker who can ignite the recently skidding Bruins. A few names are being tossed around: Dallas Stars center Brad Richards, Atlanta Thrashers defenseman Zach Bogosian, Toronto Maple Leaves defenseman Tomas Kaberle, and Nashville Predators center Mike Fisher. With this much cap money the Bruins have got to think big and bold and the biggest and boldest player of that group would probably be Brad Richards, but with the Dallas Stars atop their division it’s not likely that Richards will move. Mike Fisher, however, is a rumor that I want to believe – replacing at the center position seems like the smartest move that the Bruins could make. Fisher has been described as “another Patrice Bergeron”, someone with a good work ethic that can contribute at both ends of the ice. 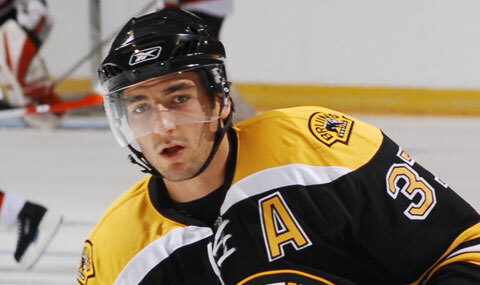 Perhaps he has what it takes to inject a little life into this Bruins line-up. Although the B’s sit atop the northeast division it is questionable as to whether this team will be able to hold up against the best of the best come playoff time. Right now all we can do is speculate, because rumors are rumors and they’ll swirl until the trade deadline, February 28th. 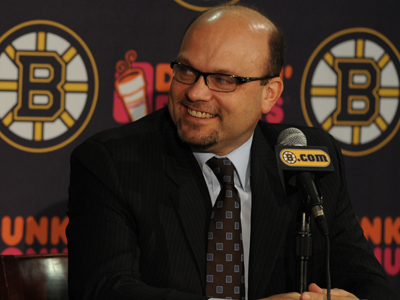 There is no question, however, that the Bruins need to do something; they need to make a move that’s ballsy. Chiarelli’s got to man up and land an impact player – show the fans that he’s prepared to do whatever it takes to win now, because 1972 was an awfully long time ago and it’s about time that the Stanley Cup came back to Boston.